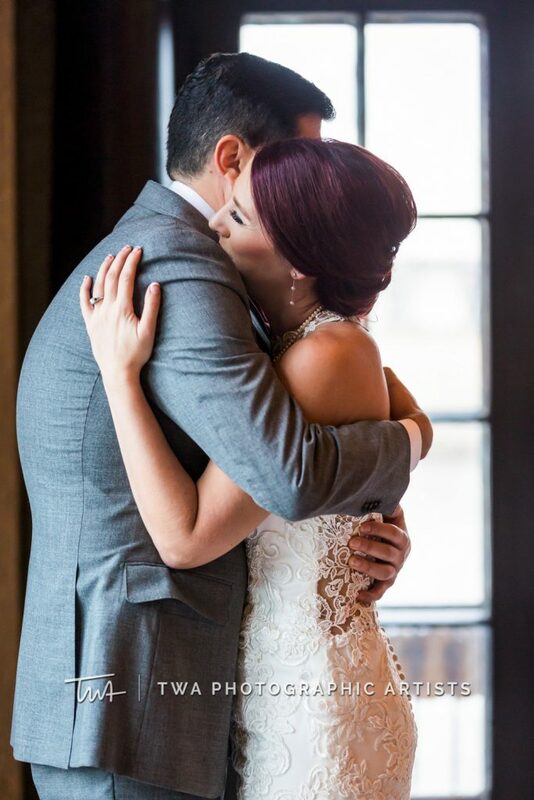 We are swooning over Cori and Bernie’s perfect winter wedding! 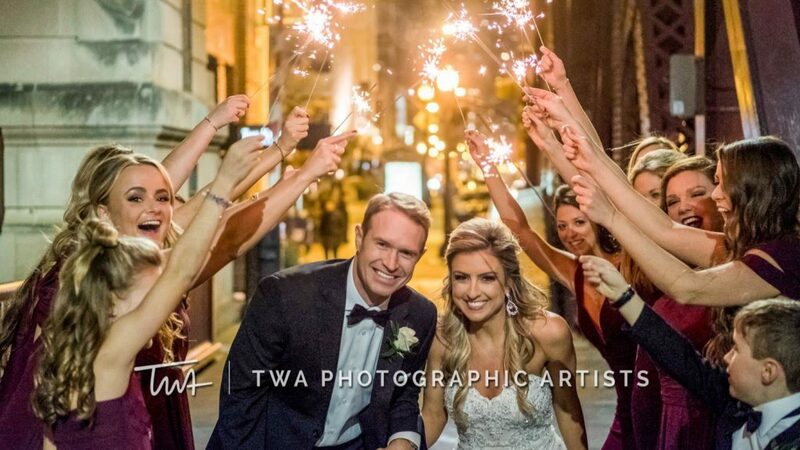 The beautiful event took place at Hotel Baker in in St. Charles – a location where we frequently photograph our wonderful couples. The deep burgundy and burnt orange tones really helped ramp up the winter color-scheme. The recent snowfall made outdoor images even more magical to take! 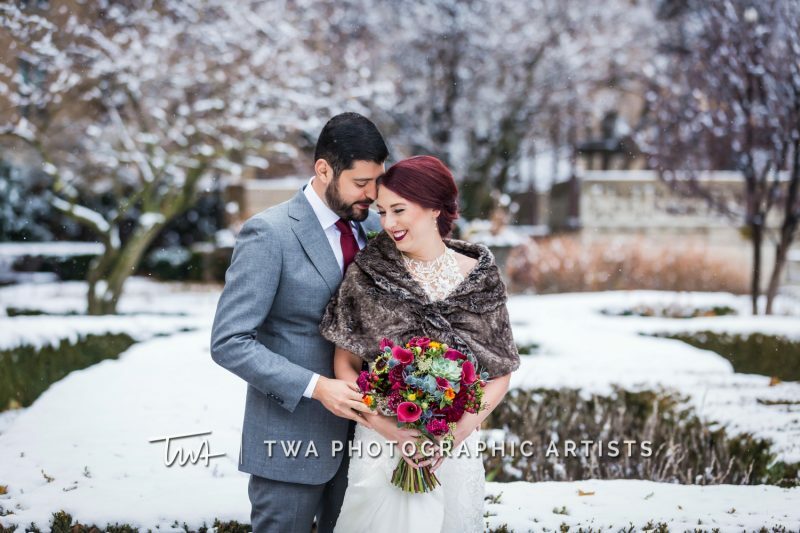 There’s nothing better than a happy couple, laughing and sharing a smooch surrounded by snow-lined trees. Congratulations, Mr. and Mrs. Montemayor!